Welcome to Day 30 of #30PostsHathSept. [PLEASE READ all my other challenge posts HERE.] 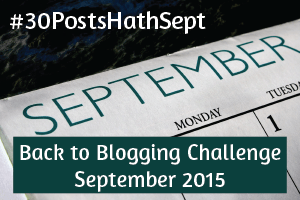 Today is my final post for the #30PostsHathSept Blog Challenge. While I will continue to post regularly here on a variety of topics, finding the opportunity to post on a daily basis at the level of depth I try to achieve may not be likely. Please do look for me weekly. Enjoy! I began planning today’s post since the first one on September 1. For the final challenge day I wanted to say something lasting and representative of my thoughts and beliefs. However, something else more timely has been burning on my mind. 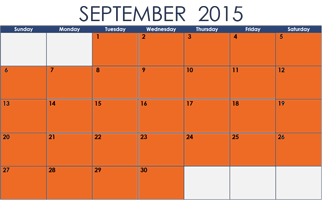 September 27-October 3, 2015 is Banned Books Week. The American Library Association (ALA)’s Office of Intellectual Freedom has long held the fervent mission to protect intellectual freedom by educating the public and libraries of its importance. The ALA solidifies this crucial role in, this, its Library Bill of Rights. This is the antithesis of censorship. Yet it seems almost forbidden to speak of a topic like intellectual freedom at a time in history when the freedoms of many individuals and groups here and around the world feel as if they are being challenged in various ways. The banning of books is but one element in the realm of freedom and free speech. Limiting our intellectual freedom through the banning or challenging of books, through book burnings, or other divisive means is but the first step to risking the loss of other treasured freedoms. The list of banned and/or challenged books may surprise some people. Many have been some of the most beloved classic books of our age. More than some books were even written for children and young adults. A number of banned or challenged books are sometimes so ahead of their time that they may elicit shock, horror, and other uncomfortable emotions. But books, like all ideas, need to make us feel and think and only then can they perhaps even move the world towards a more tolerant and positive future. Classic books like George Orwell’s 1984, Harper Lee’s To Kill A Mockingbird, John Steinbeck’s The Grapes of Wrath, Upton Sinclair’s The Jungle, Ralph Ellison’s Invisible Man, and so many others were challenged and/or outright banned. They – and others – will remain as keystones in literature’s timeline. Some authors of books banned or challenged in the U.S. went on to win National Book Awards (William Styron, John Updike, William Faulkner, Alice Walker, etc…) and some even the Nobel Prize in Literature (John Steinbeck, Vladmir Nabokov, Ernest Hemingway, Toni Morrison, etc…). Not all banned or challenged books are automatically raised to that of a classic book or award-winning literature. Banning or challenging a book in some ways is a book writer’s dream in that the publicity entailed by the challenge may actually increase readership. However, so many of these books are indeed remarkable works and deserving of as wide an audience as possible. See a full listing by decade of the most commonly banned and challenged books HERE. So what is the responsibility of society to permit informational freedom? For one, being able to freely have access to all books is core to this freedom. But in today’s age, with the Internet and social media, this freedom should not alone be limited to books. The Constitution speaks about many of our freedoms in the Amendments. The United States also first approved what was to be named the Freedom of Information Act in 1967. Since then, and especially during this most recent decade, arguments against the Act, as well as significant limitations to this Act (and challenges to our constitutional freedoms) have been put into place, especially for information related to governmental operation. It is not my role in this post to take the opinion for or against these major changes, but only to take note of the slippery slope of informational freedom and its restrictions. Across the globe, there are people who are denied the right to an education, and thus the ability to learn to read. There are others who have the ability to read, but are denied or unable to have access to specific books or information. Still others, especially in today’s college environment, where students feel the need to protect themselves from difficult and scary concepts, are now requiring many professors to alert them of topics that may be uncomfortable and threatening. There has grown a need to have safe rooms to prevent the exchange of information. Safe rooms that may lead to censorship on college campuses. Such a visual and divisive phrase. I’m a strong and steadfast advocate for children and young adults, and this new development in colleges and how it might further relate to banned and challenged books and informational freedom is a worrisome one. 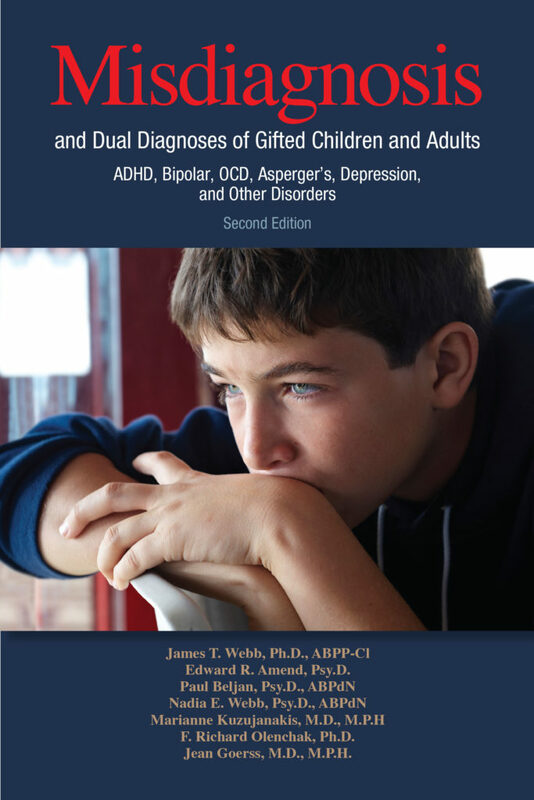 I sense less support in childhood in the development of resilience, at a time when the need for resilience is high. Many factors are involved in resilience, and I hope to address my views of this subject in another post at a later time. I grew up in the era of the Vietnam War, the National Organization for Women, and the Civil Rights Act. Standing up for freedom, be it individual or collective, was highly important. Even today there are people standing up for important movements like #BlackLivesMatter, poverty, and green energy. Gathering and debating ideas is instrumental to progress. Our conversations on difficult topics are long from being completed. These topics include racism, war, poverty, imprisonment, tolerance, violence, education, mental health, climate change, energy, religion, and so many more. Books are a central part of important conversations. Words are freedom itself. Sometimes a book is a someone’s first exposure to a specific topic. Even younger people need to discuss these topics. Banning or challenging books is turning one’s back on ideas and conversations. Looking at this year’s long list for the National Book Award, one can see that the need for these types of topics is great. The award nominees discuss topics that in part include resilience, grief, sacrifice, family, relationships, racism, violence, humanity, love, consciousness, faith, coming-of-age, death. Wow. These are the BIG questions. These are the questions that need to be asked. Questions that lay deep within the minds of even children and young adults. Many people don’t feel comfortable asking the big questions aloud. Books offer these private conversations in a safe and supportive way. We all have books that have made a strong impact on our lives. I don’t doubt many people specifically point to a banned or challenged book that did just that for their lives. For me in my teen years, that author was George Orwell, and it was his books Animal Farm and 1984 that inspired me in my life. So celebrate Banned Books Week by reading a banned or challenged book and by doing so, stand up for intellectual freedom. Freedom in libraries. In schools. In universities. In government. In homes. And around the world. Then – for a moment – imagine a world where that freedom is taken away.